Belfast’s premier menswear store offering a wide range of casual and formal collections. With more and more people looking for something special, Andrew Watson looks all over to find you the best choice of menswear available. Over the last few years they have been pleased to be chosen to be the stockist for many top brands such as Hackett, ETON shirts, Crockett & Jones, Gran Sasso, Oliver Sweeney, Loake, Eduard Dressler, & Hartford. Andrew Watson and Tim Wolstenholme jointly run what is recognised as Northern Ireland premier independent menswear store. 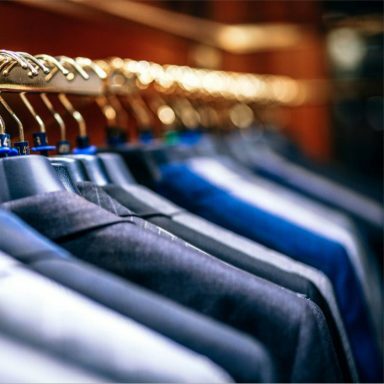 Andrew has always had a passion for good cloth and excellent cut and since opening his own store in 2010 he has travelled extensively throughout Europe with Tim on the search for the best in mens clothing. He and the team have bought in a number of new designers not showcased on the island, and only available in a handful of mainland stores.